The happiest moms always take time for themselves. The happiest mothers put their children to bed early and make this a rule in their routines so that their children can go to sleep feeling happy and relaxed. This is our stance at You Are Mom. “Careful, don’t let them get too upset! Careful, don’t make them laugh too much because then they’re going to get too excited!” On the phone, grandmas give this kind of advice. So mothers try to direct their child to calmer activities. When it’s 8 pm and your child doesn’t want to go to bed, you, like many mothers, let them play for a little more time.until 9 o’clock rolls around. And by that time the little one should really be in bed. But since you have a lot of household chores to do, you let them continue to entertain themselves for a little while longer. You get them some art supplies to paint with, some play dough… basically, anything that does not require much fuss and leaves you free to do housework. By 10 pm your child should be snoring, but in the past hour you have just finished the laundry and want a few minutes to take a shower and be totally ready for bedtime. So you keep putting off their sleep. By 10:30, it is finally time to go to bed. It’s a little late for them, but you’re sure that this is just going to translate to a better rest. Big mistake! On nights like this, the child stays up until 11 or 12 tossing and turning in their cradle without wanting to sleep a wink. They will want to drink water or their bottle, look for this toy or another, go to the bathroom, drink water again… and as you cater to their needs, the list gets longer and longer. And there you are at all hours of the night like a loyal servant, tending to their every whim. Finally, at 12:30, your child falls asleep, and that’s it until the next day! Another mistake! The next morning our little one wakes up 5, 6, or 7am for us to rock them and go back to sleep. They sleep restlessly, as if they are constantly being interrupted and cannot fall asleep again. This is why when you think they are deeply asleep, you see them toss and turn, jump, and wake up again. It is almost like the child was never even tired and had drank 4 or 5 cups of coffee to be so wide awake. Because of this, the next day, when it is time for them to go to daycare, they don’t want to wake up. Both you and your child wake up wanting to go back to bed. 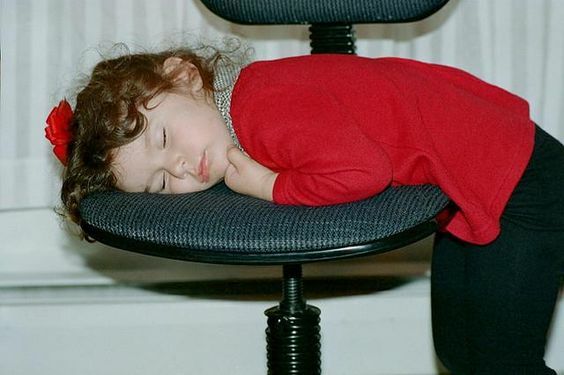 They will be drowsy throughout the whole day, and you will feel extremely stressed out and unable to function at work. Free time to dedicate to you and your partner. At the end of the day your happiness and well-being also depend on that. Less stress about doing the chores you usually do at night. You don’t have to scrub, wash, tidy, or do any other task with the worry of constantly checking to see what your child is “inventing” in the next room. Relaxation, and deep, satisfying sleep. Your child will get the necessary hours of sleep and both their body and brain have the opportunity to restore their energy for the next day. Not feeling like you have to bend the rules and be a pushover. Your child will not be the one calling the shots every time they tell you that they don’t want to go to sleep. If they get used to going to bed early you will not be subjected to their tantrums when they do not want to go to bed and give in to what they want. Remember that this is not the disciplined upbringing you wanted to give them. The enjoyment of much needed rest and rejuvenating sleep. Tranquility for the rest of the family. If you live with other family members in the home, everyone will have the opportunity to get together and share family issues that should not be mentioned in front of a child. Moms, if you don’t want the story we just told to happen to you, first of all, you need to establish a bedtime routine and follow it every night. If your child is playing, tell them that they can continue up to a certain time and when the clock says time is over, they have to go to bed even if they want to keep playing. Persuade them with a song, a story, getting to lay in their mom and dad’s bed for a while… surely you know what will work with them. Never forget how important sleep is for them, and how important rest is for a good mother like you.